Are you looking for a way to add an extra special touch to your Christian Women's and Christian Men's Job Corps ministry? Hundreds of our signature lapel pins are purchased and worn proudly every year. Unique to CWJC/CMJC, this pin is a smart and stylish buy for participants, graduates, and supporters alike. 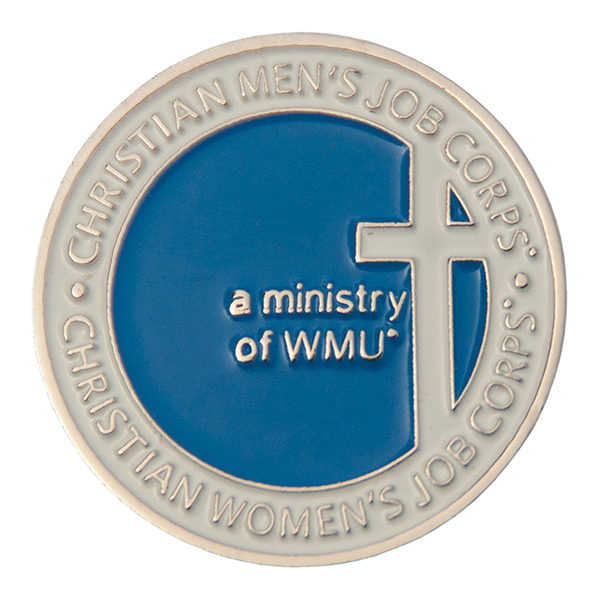 Each lapel pin is designed with the CWJC/CMJC logo in blue and white. This is an excellent way to show your support of CWJC/CMJC.